Agile increases quality and decreases time to market but incorrectly implemented Agile will not bring the expected benefit or even can make things worse. These are some books which helped us understand and implement Agile and Scrum . Whether you’ve completed a few sprints or multiple agile projects and whatever your role–manager, developer, coach, ScrumMaster, product owner, analyst, team lead, or project lead–this book will help you succeed with your very next project. Then, it will help you go much further: It will help you transform your entire development organization. The rules and practices for Scrum—a simple process for managing complex projects—are few, straightforward, and easy to learn. But Scrum’s simplicity itself—its lack of prescription—can be disarming, and new practitioners often find themselves reverting to old project management habits and tools and yielding lesser results. 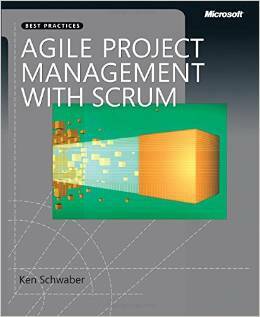 In this illuminating series of case studies, Scrum co-creator and evangelist Ken Schwaber identifies the real-world lessons—the successes and failures—culled from his years of experience coaching companies in agile project management. Through them, you’ll understand how to use Scrum to solve complex problems and drive better results—delivering more valuable software faster. The Elements of Scrum has gained an international following and a reputation for being perhaps the only book on software development that reads like a page-turner. 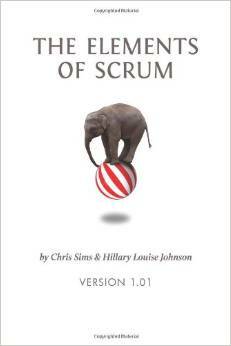 Written by Chris Sims, a top scrum trainer and pioneer of experiential learning, and Hillary Louise Johnson, a novelist and business journalist, it demonstrates the principles, practices and pitfalls of the scrum framework through lively storytelling and vividly told example. The Elements of Scrum opens with a blow-by-blow description of a week in the life of a scrum team, then briefly details the history and origins of scrum, comparing it to traditional methodologies and providing context for how scrum applies to the cultural history of the software industry. Next, the principles and practices set forth in the Agile Manifesto are broken down and illustrated with real-world examples, putting the reader inside the heads of the founders of scrum and agile for a thorough grounding in theory. The meat of the book explains every aspect of the scrum process, including team composition, scheduling and work flow management, in crisp, clear, example-laden prose designed to provide insight to novices and experienced practitioners alike. 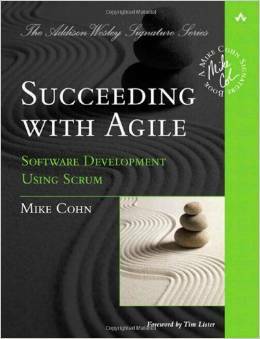 The book concludes with a section on supporting technical practices like Test Driven Development and Pair Programming, to help the reader apply scrum at the practical level. The Elements of Scrum is taught at colleges and universities across the country, including UCLA, George Mason University, Arizona State, SUNY Potsdam, Wofford College, and Becker College. It has been translated into Mandarin, and is soon to appear in other international editions. This book provides no-nonsense advice on agile planning, development, delivery, and management taken from the authors’ many years of experience with Extreme Programming (XP). You get a gestalt view of the agile development process, including comprehensive guidance for non-technical readers and hands-on technical practices for developers and testers. What if I can’t get my customer to participate? 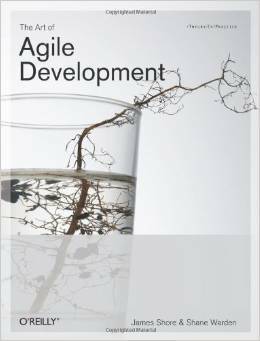 Whether you’re currently part of an agile team, working with an agile team, or interested in agile development, this book provides the practical tips you need to start practicing agile development. As your experience grows, the book will grow with you, providing exercises and information that will teach you first to understand the rules of agile development, break them, and ultimately abandon rules altogether as you master the art of agile development. “Jim Shore and Shane Warden expertly explain the practices and benefits of Extreme Programming. They offer advice from their real-world experiences in leading teams. They answer questions about the practices and show contraindications – ways that a practice may be mis-applied. They offer alternatives you can try if there are impediments to applying a practice, such as the lack of an on-site customer. 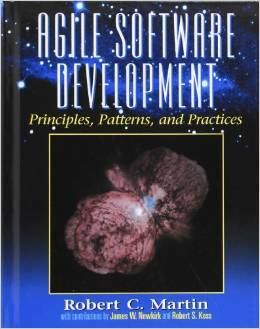 Written by a software developer for software developers, this book is a unique collection of the latest software development methods. The author includes OOD, UML, Design Patterns, Agile and XP methods with a detailed description of a complete software design for reusable programs in C++ and Java. Using a practical, problem-solving approach, it shows how to develop an object-oriented application—from the early stages of analysis, through the low-level design and into the implementation. Walks readers through the designer’s thoughts — showing the errors, blind alleys, and creative insights that occur throughout the software design process. The book covers: Statics and Dynamics; Principles of Class Design; Complexity Management; Principles of Package Design; Analysis and Design; Patterns and Paradigm Crossings. Explains the principles of OOD, one by one, and then demonstrates them with numerous examples, completely worked-through designs, and case studies. Covers traps, pitfalls, and work arounds in the application of C++ and OOD and then shows how Agile methods can be used. Discusses the methods for designing and developing big software in detail. Features a three-chapter, in-depth, single case study of a building security system. For Software Engineers, Programmers, and Analysts who want to understand how to design object oriented software with state of the art methods.